The Australian Mist proudly wears the label "Made in Australia". This carefully designed breed has a FANTASTIC temperament and is full of love and fun. They are highly intelligent but relaxed and very fond of people. 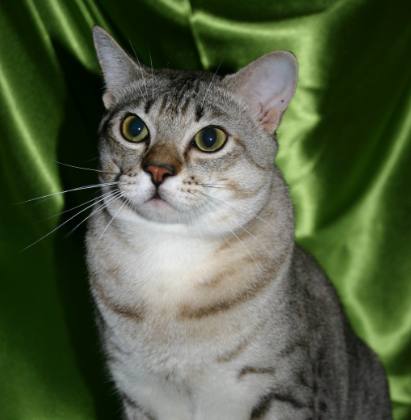 They are one of the only cat breeds that could go to any household type for example for families with young or teenage children, they are exceptional with the elderly they are tolerant of any kind of handling and are very disinclined to scratch. They are very easily trained to walk on a lead and harness, play fetch, ride in the car or go just about anywhere you go they love to be a part of the human family. They are very adaptable and have a very common sense almost human intelligence and tend to blend into any situation they are put into. They interact wonderfully with other animals in the household. 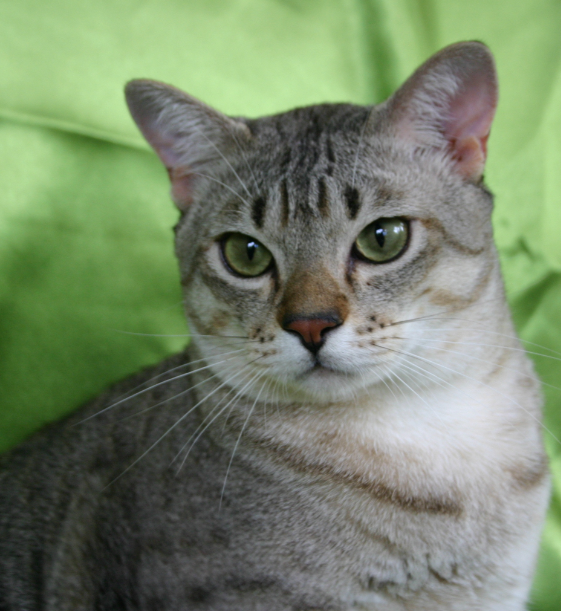 As kittens they are lively, funny and continually acting the clown but do slow down somewhat on maturity. Their propensity to crawl into the nearest lap with or without invitation and to constantly hang around to see what people are up to makes them an excellent companion for the home mum with young children, the home worker, or for the elderly or infirm who spend most of their time in the home.